Fort Worth: Where the West Begins. Cowtown. Panther Island. Whichever nickname best describes your love of the Big D’s eternal geographical partner, you can find fun and fresh inspirations to incorporate with your home’s room design ideas. Fort Worth: Where the West Begins. Cowtown. Panther Island. The Queen City of the Prairies. The Paris of the Plains. Whichever nickname best describes your love of the Big D’s eternal geographical partner, you can find fun and fresh inspirations to incorporate with your home‘s room design ideas. 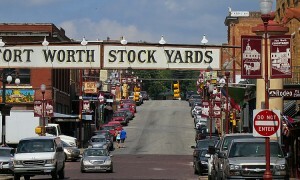 The design ideas that most easily tie into the heritage of Fort Worth involve cowhides and Texas stars. Although this inspiration has been adopted ad nauseum for decades, consider some of these ideas to give a refreshingly retro look to your home. Instead of cowhide rugs and leather couches, hang a cowhide on an accent wall in one of your living areas, either as a standalone conversation piece or as a backdrop to your favorite Western flair or to frame in a set of family photos. Let the colors of the Fort Worth herd inspire your floor design by picking up touches of browns, beiges, and creams with custom tile or hardwood finishes. Use the Texas star in new ways as the button design that dots the center of your DIY throw pillows, adorning the pins that hold your cowhide to the wall, or embedded in small accent tiles that offset your floor’s main design. Framing the original poem that inspired Fort Worth’s best-known nickname. “Out Where The West Begins” is a famous cowboy poem penned by Arthur Chapman early in the 20th century. This piece can captivate your guest’s attention by hanging it near your entry or spark conversation as a wall piece in your home’s casual dining area. Subtly pointing to your love of the West by incorporating images of compasses or weather vanes where the “W” is emphasized in a larger size or more vivid color or font than the other cardinal directions. Illuminating one of the best known images of the West — a dark cowboy silhouette against a backdrop of a sinking sun or panoramic prairie — as a piece of focal art in your home. Consider where rays of the setting sun grace your house — placing this image nearby can give it an almost ethereal milieu. Adding a stark image of a panther to your collage of Western image wall art — a design element that is sure to spark conversation when out-of-town visitors wonder at its inclusion. 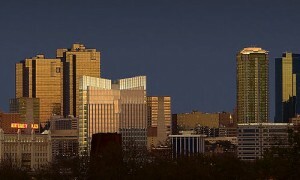 Using a framed skyline of Fort Worth as your main piece of art in a living space, giving your room the same look of spaciousness as Cowtown’s skyscrapers enjoy against a rambling prairie backdrop. 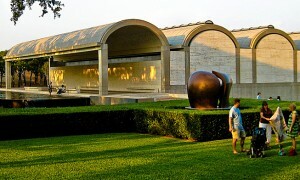 Dallas vs Fort Worth: Which Is Right for You?